Using a fingerprint scanner designed for and by frontline healthcare workers, Simprints’ system helps to address these challenges by ensuring accurate identification of any individual, regardless of access to formal or government-issued identification methods. This way, aid organizations can measure accurately those who have been reached, and—critically—who haven’t. Frontline care workers can learn to use Simprints with less than 30 minutes of training, and then can make critical decisions based on the secure medical records of their patients. The main challenge to develop the device was that it must function properly in extremely remote and harsh conditions. These devices are used in deserts, monsoon areas, mountaintops, and rainforests. Frontline health workers go door-to-door—or tent-to-tent, or even cookfire-to-cookfire—and the devices get wet, dirty, dropped on the floor, jostled around the backs of jeeps, thrown in backpacks and rucksacks, and “borrowed” by children. Developing a robust product was very high on Simprints’ list of priorities. The challenge of power usage is critical, as well. Simprints’ product is powered by a lithium-ion battery that can function for two full days on a single charge. 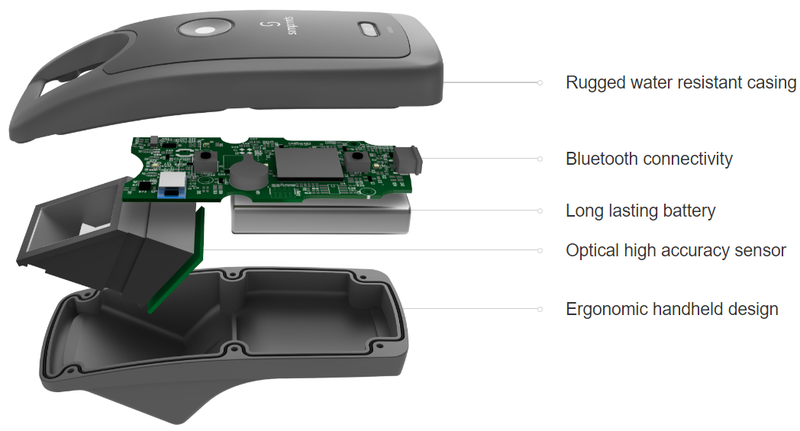 The device connects to a mobile phone via Bluetooth. Conservative power usage in the design is a must. Because this kind of biological tracking is of a sensitive nature, great care has been taken to ensure clients’ privacy. Simprints’ device only matches the fingerprint template of each individual with a unique user ID; the service provider must use that identification to access that person’s records. No personal details are stored with the fingerprint templates. Using OrCAD® Capture, Simprints can make small changes to the design, ensuring that the product achieves the proper environmental standards, CE certifications, and FCC markings; they can also make the changes requested by the workers in the field with little disruption to the production of their prototypes. 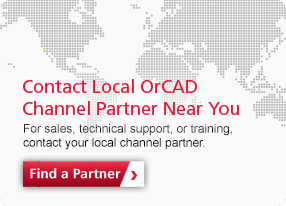 They are also exploring OrCAD PSpice® Designer. Instead of going outside of the tool, the OrCAD PSpice Designer can optimize a component choice, especially if doing it in an extreme environment. Moving forward, as the company grows and more of their PCBs are designed in-house, Simprints hope to import all their past designs into one easy-to-use GUI, using the OrCAD PCB Editor tool. Considering the importance of Simprints’ work of saving lives, Cadence is glad to help. I never considered using anything other than OrCAD for our designs. I don’t really have an alternative! If I had to choose something, it would be OrCAD.